List any additional team members here. Dang this one is epic and also really intense! I guess the point is to stay alive as long as possible? (Maybe you could add a timer for highscores etc). It's pretty hard to stay on the ship but that's the point, right? :D I loved the graphics, it looked the part for sure! Sometimes some parts of the ship didn't seem to have collision, so I would fall through them, but that doesn't matter. Good job on finishing the game, thanks for uploading man! This one was pretty cruel, that's probably how frustrating and difficult it would be to stay on a ship that was doing that! The graphics are really good, and it definitely messes with your sanity when you get up on that deck, I still haven't got past that part yet, it's quite difficult. Oh man, what you created in such a short amount of time is really amazing! The kraken is one mean-looking beast! There were some tricky bits like the physics on the slops of the island, and the barrels in the first room, but nothing that stopped me from enjoying the game. These comments are the reason I made the game. Reading that people enjoyed playing it, (despite some buggy parts :D) is really worth it. 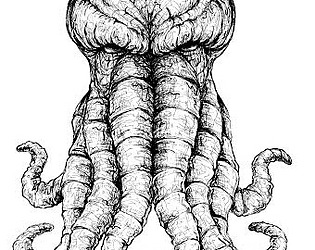 When you are thrown from side to side on a ship deck it really starts to resemble some of Lovecraft stories. And then you notice something coming out of the water! And then you die and restart about ten times to finally step on the weird twisted island to receive an abrupt endgame screen. Give me more! It's a bit frustrating to fall off the ship over and over again and the ending is sudden, but the atmosphere of panic and wonder is definitely there. Thanks for playing! I would love to continiue the game, but the GameJam's time is too short for that. 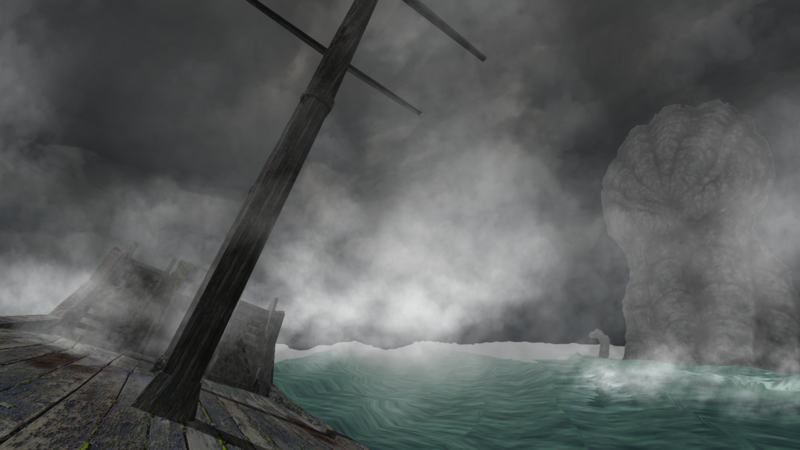 My goal was to create that Lovecraftian atmosphere, glad you felt it! Glad you made it to the finish! Thank you for the feedback, it helps me a lot!